I am so excited to introduce to you my first new digital kit!! 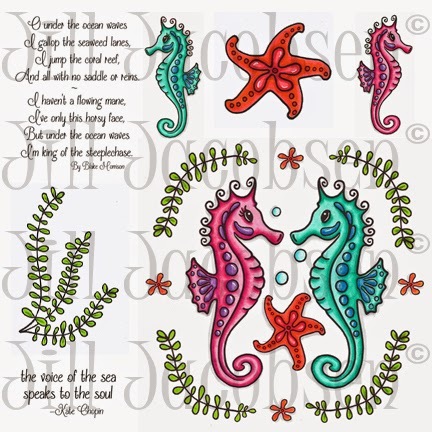 The kit includes a complete stamp set "Seahorse Life"with 7 images in both black/white and colored, a collection of 6 Seagrass Digital Papers created with gelli prints and Cut Files in SVG format for the digital stamps. When you purchase the kit you will have an instant download of the files. 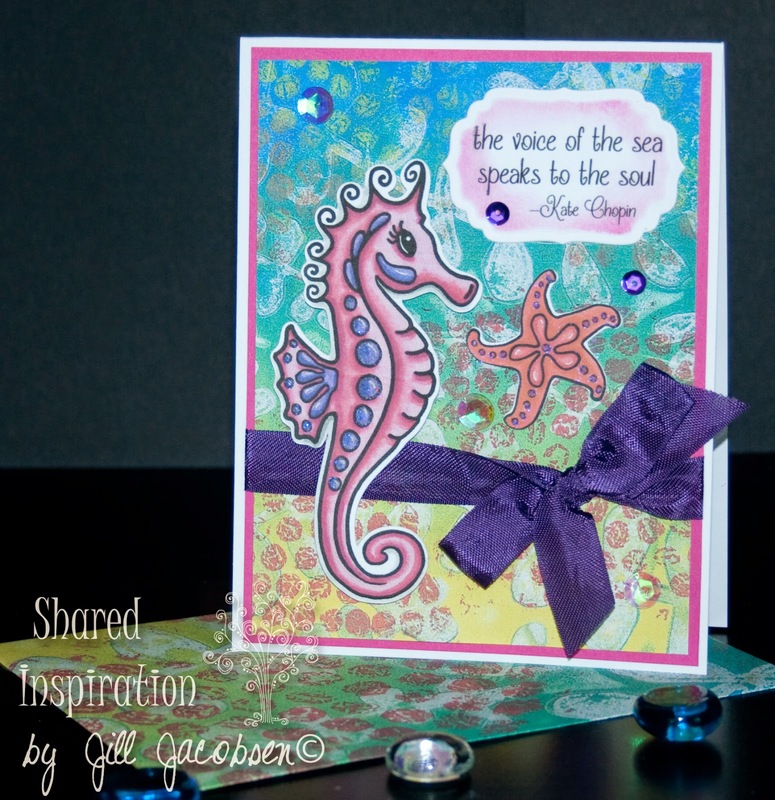 Here is a look at the digital papers and the full stamp set available in my store here. 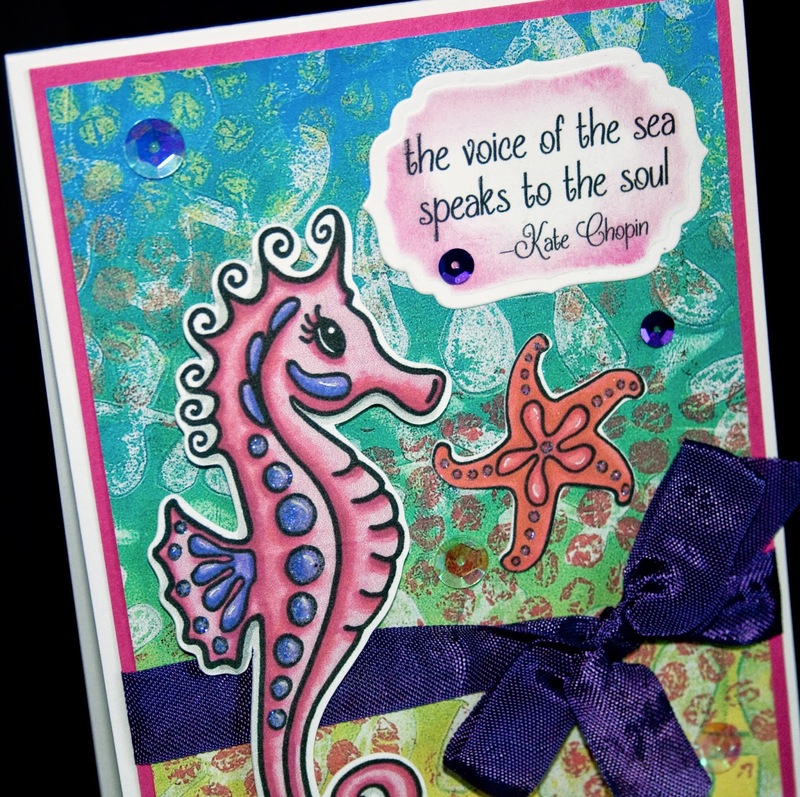 My first card was made with the single seahorse and starfish and just printed out and cut out. I printed one of the digital papers in a 4 x 6 size so the design print is smaller and fits the image better. 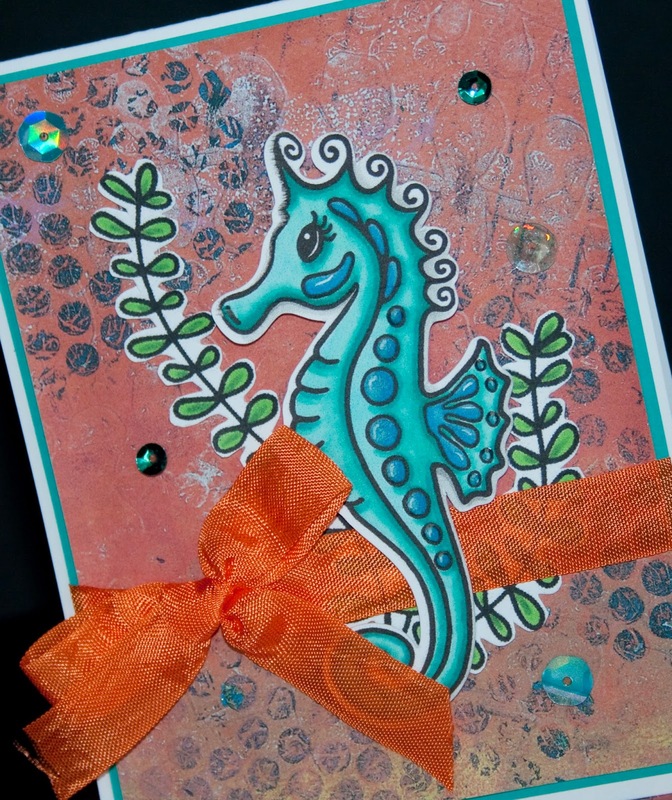 The card is pretty simple to put together and with the sequins and a bit of glitter really pops. I also used my envelope board and printed out an 8 x 10 print of the same digital paper and made a matching envelope for my card! My second card was made in the same way, but using the grass image and a different digital paper....it also has the matching envelope. 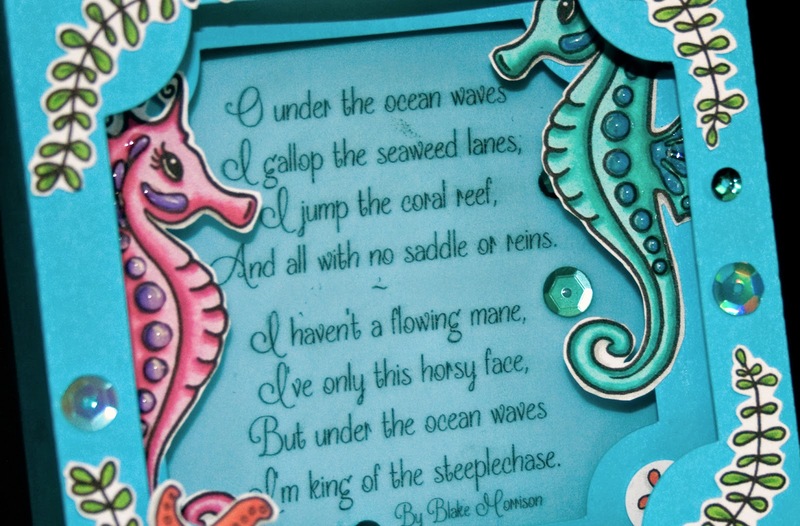 The third card is a diorama card and I used the scene image and cut it into pieces to place it in the card. The sentiment was printed on vellum and adhered to the back panel. 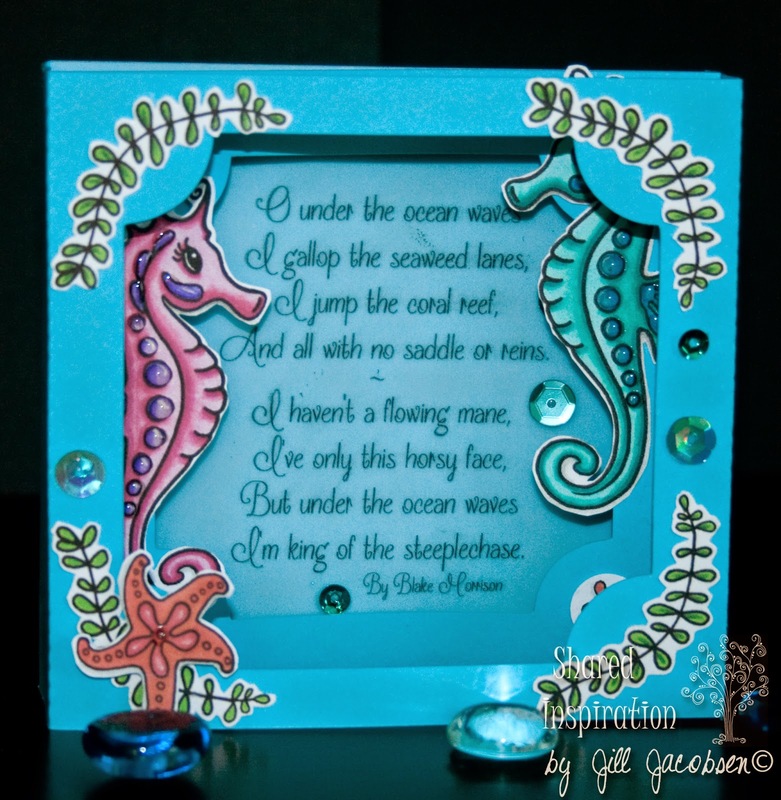 I put some Glossy Accents on the seahorses and starfish. 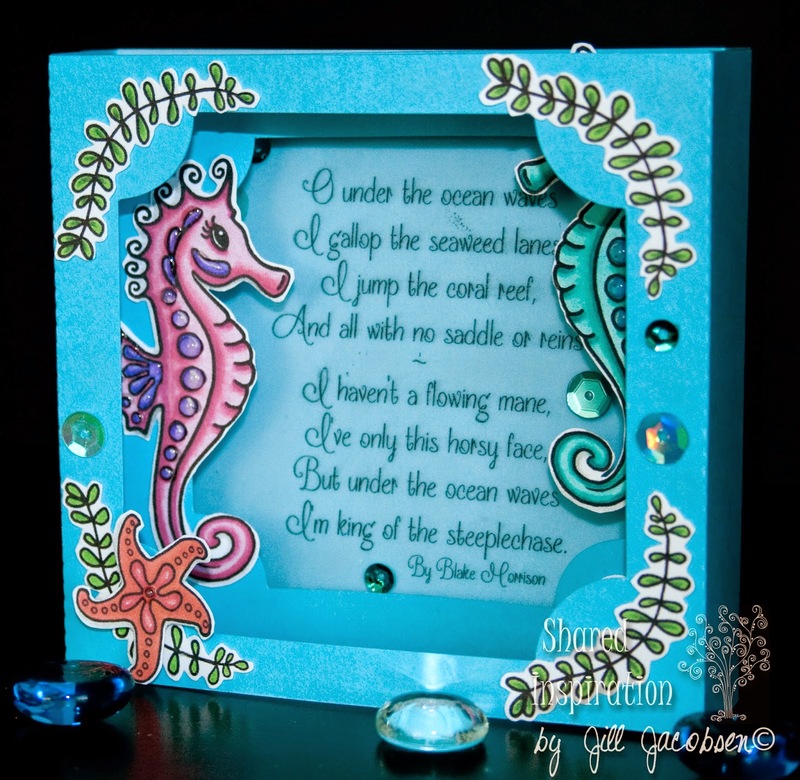 And as introduction I am offering the Seahorse in b/w free for a limited time. 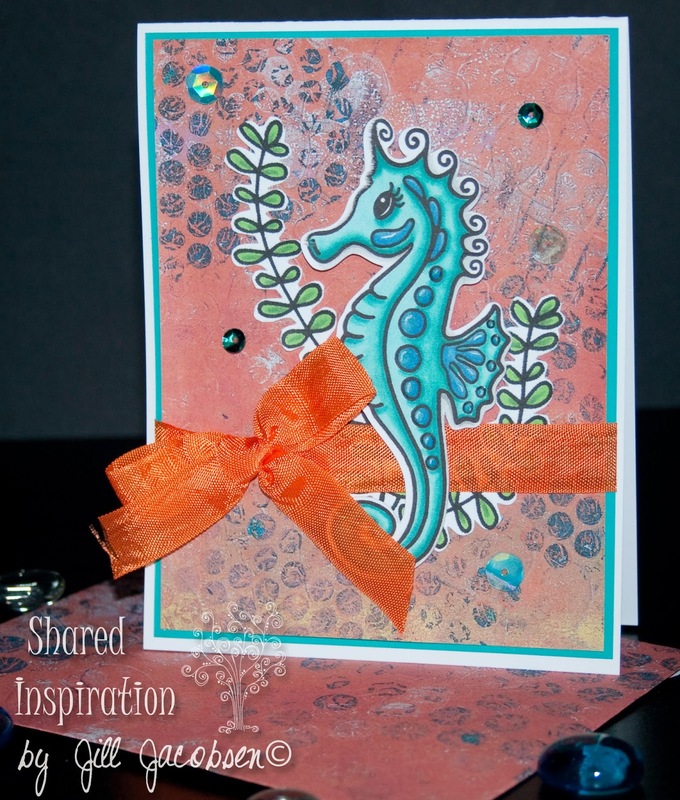 I hope you enjoy this first kit...I am looking forward to creating more....please let me know what you think and if you make a card with the images please send me a copy of it and I will share it with the others so they will be inspired also! !